It may be unsound now, but the Sound Democrat Mill, nestled at 12,000 feet elevation in the mountains northeast of Silverton, is going to get some needed nips and tucks in the near future. History Colorado, through the State Historical Fund grants program, last week announced 24 grants for historic-preservation projects. The Sound Democrat, located in Placer Gulch not far from Animas Forks, was among those to get a piece of the $3 million pie. A major stabilization project was done on the mill over a several-year period in the early- to mid-1990s. “What we’re going to do is more of a rehabilitation and restoration,” said David Singer, owner of Silverton Restoration Consulting, who will manage the project. Singer helped apply for the grant along with the U.S. Bureau of Land Management on behalf of the Mountain Studies Institute. The mill is on BLM land. The state grant is worth $160,800, said Shannon Haltiwanger, spokeswoman with History Colorado. Singer said that money will be combined with a $54,000 matching grant that the BLM gave to the institute. 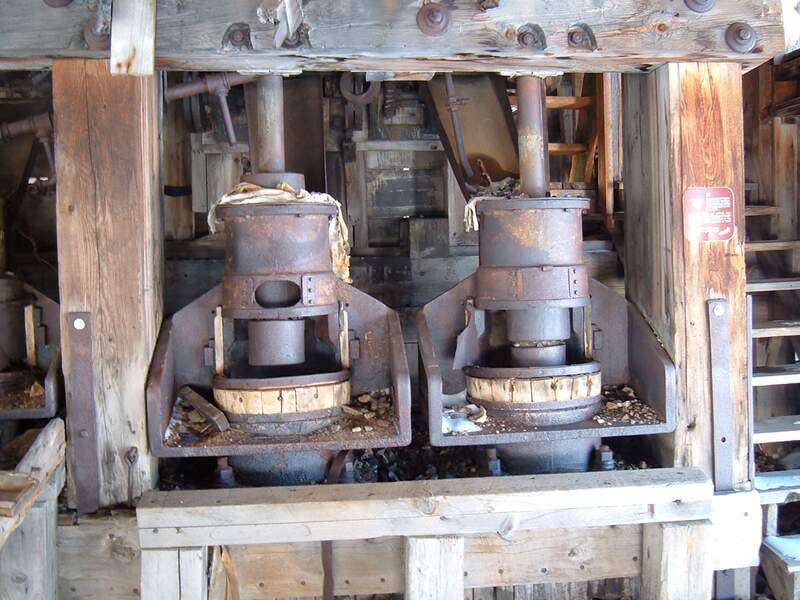 The Sound Democrat was built in 1905 and 1906 to process ore from the Sound Democrat Mine nearby. In 1909, four stamps were added to the mill to make it a seven-stamp operation, according to a story in the Aug. 30, 1996, Durango Herald. At that time, it also began serving the Silver Queen Mine. The Sound Democrat Mill did not enjoy a long career, closing in 1911. Singer said San Juan County has excellent examples of the two different milling technologies used at that time. The Mayflower Mill, located just east of Silverton, used flotation technology. The Sound Democrat was one of 36 amalgamation and stamp mills in the county in a 1911 survey. Singer said that once the work is under contract and the plans are drawn by architecture and engineering firm Reynolds + Associates of Durango, it’ll probably be fall. They’ll try to “button up” the building to make it weatherproof for the winter, then begin work again in spring 2016. Then, drainage around the building will be improved, safety measures such as handrails installed and interpretive signs displayed. In 1991, the Sunnyside Corp. donated the Sound Democrat Mill to the Bureau of Land Management. Following that, federal employees and volunteers spent several days each summer stabilizing the old mill, the 1996 story said. During reconstruction in the 1990s, new wooden beams were used to rebuild the ceiling of the several-story structure, and nongalvanized metal roofing was added. The building was made level, and several machines were rebuilt. That work “saved the building from being basically a pile of sticks on the ground,” Singer said. The Sound Democrat Mill can be reached on four-wheel-drive road by heading west up California Gulch for about a mile then turning south up Placer Gulch. It’s above timberline on the left. It appears as a point of interest on the BLM map of the Alpine Loop but is not technically part of the loop. The archaeological study of historic Ute Trails in Eagle County, originally used by the Ute people as a link to important river crossings and seasonal destinations. The rehabilitation of the Bonfils-Stanton Belmar Farm Caretaker’s Cottage, once a part of Denver Post heiress May Bonfils-Stanton’s estate in Lakewood. The rehabilitation of the Huerfano County Courthouse and Jail that will return the interior to its original configuration and provide access to those with disabilities. 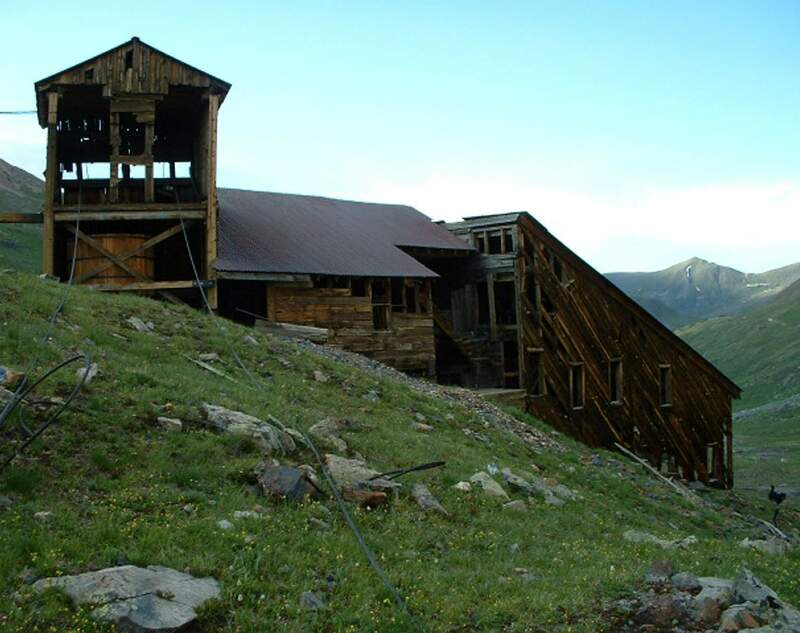 Above: The Sound Democrat Mill, thanks to stabilization efforts in the 1990s, now sits intact on a hillside on Placer Gulch northeast of Silverton. Top: The Sound Mill was crumbling before stabilization work. Inside the Sound Democrat Mill are seven stamps, remaining from an operation that shut down more than 100 years ago. 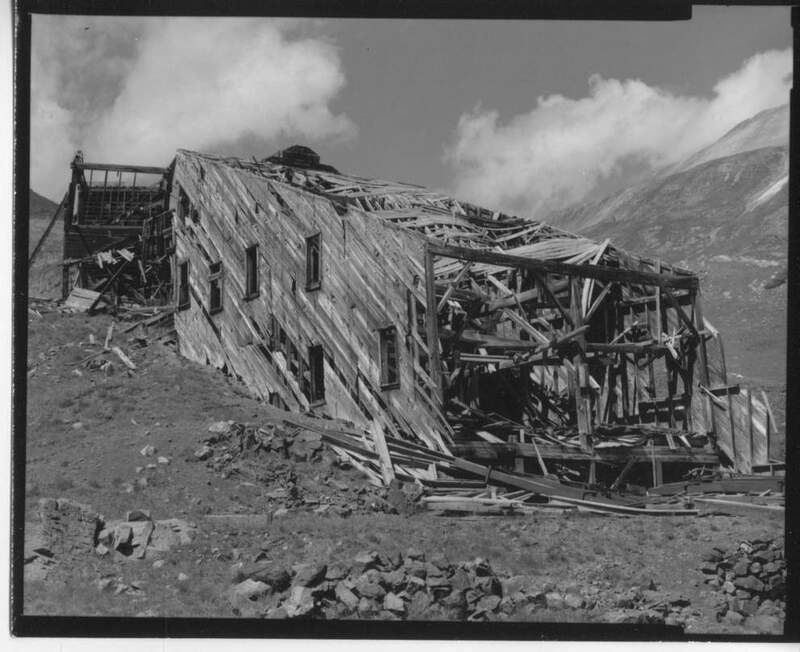 Before stabilization work was done by the Bureau of Land Management and volunteers in the early to mid-1990s, the Sound Democrat Mill was crumbling.